The snow has started to fall, but there’s still lots of activities to do before it sticks. Keep reading to learn about the six things you should do before the ground is covered in the white stuff! Visit Cottonwood Island Park – This 32-hectare park has trails that wind along the Nechako River and tree bark carvings along many its paths. Take advantage of the low streamflow and walk across the river. You may even be able to reach Goat Island! Go Fishing – Did you know there are more than 1600 lakes and rivers within a 100km radius of Prince George? Before you head out, stop by Tourism Prince George and borrow a fishing rod, basic tackle, a life jacket, and our handy Top 10 Fishing Destinations brochure. Check out the Ancient Forest/ChunT’oh Whudujut – Located approximately 115km east of Prince George, the Ancient Forest is a great place to visit in the fall! The universally accessible boardwalk provides access for people with all abilities to this thousand-year-old forest filled with western red cedars and over 400 plant species. Try Horseback Riding - Horseback riding offers a new way to experience the beauty of being outdoors. While riding, let your horse pay attention to the trail, so you can focus on the nature around you. Allow yourself to soak in the experience in a magnified way. El Shaddai Ranch, about 15 minutes south of Prince George, is a great place to get in the saddle. They will remain open until the snow sticks! Go for a Bike Ride – Although fat bikes are now available to help navigate through snow, if you want to get out with your summer ride, you should hurry. Not sure where to go? 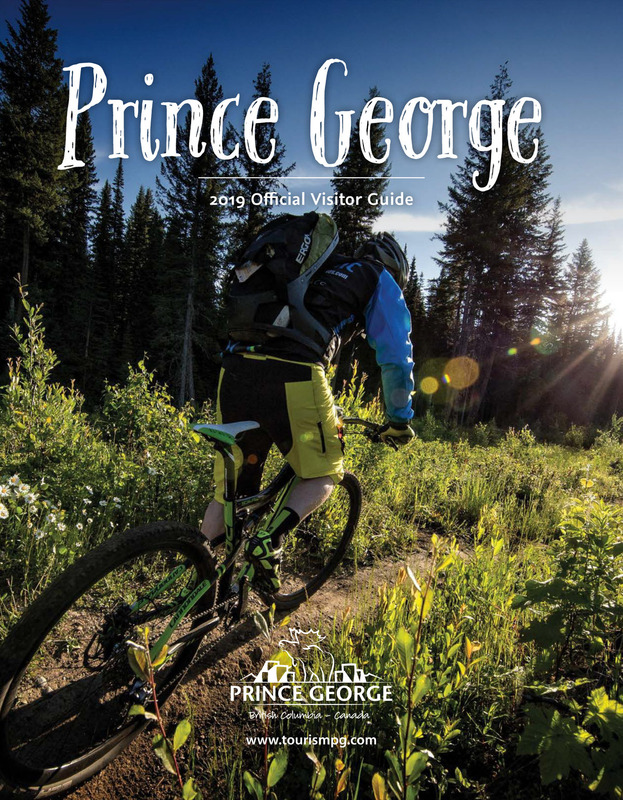 Stop by Tourism Prince George and we’ll help you find the perfect spot for a pedal.